We have some exciting and talented Friesians for sale currently. Please call for more information about our horses. 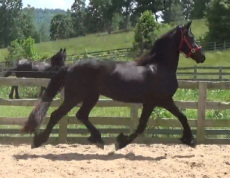 Simon is a powerful and gorgeous young Friesian. He has a great personality, stunning movements, and a very good conformation. He shows excellent promise for sport and as a riding horse. His ground manners are good and he is ready to start training under saddle this spring. He also has a great personality. He is eager to learn and to please. He has a very gentle and intelligent nature. Under Saddle and ready for training level. 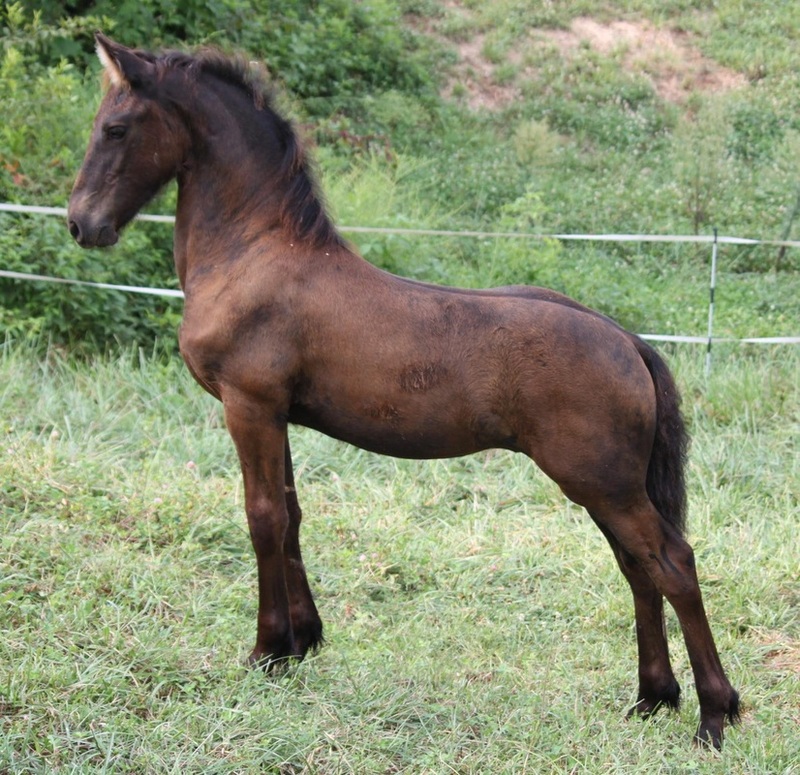 Jikke is a very tall, athletic, young mare. She shows exceptional promise for sport and riding. She is extremely sweet, intelligent and always ready and eager to work. She loves having a job and is very smart. Mare--Competing 1st and 2nd Level Dressage. Schooling 3rd level with good flying changes already. 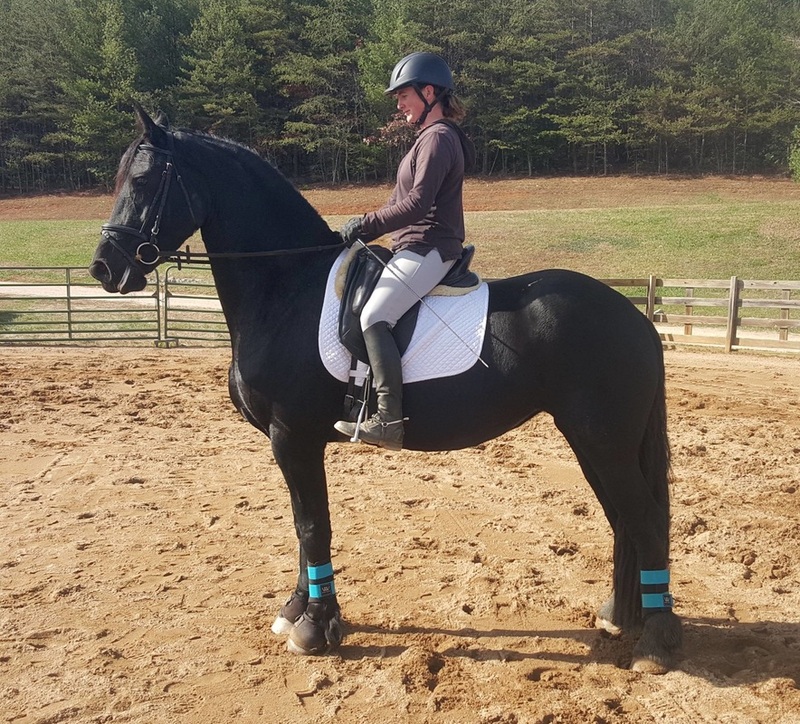 Stella is a 1st Premie mare who is solid under saddle. She is a very talented, willing, and gentle mount. She is the All Breeds Adult Amateur 2013 Champion with a 70.4. She is also the Open Reserve Champion at Training Level with a 70.4. She was the AA 2013 BLM Training level champion and 3rd at First Level. Stella is very safe, has many show miles, and shows potential for the FEI levels. Very safe to trailer and handles well. She is quiet at the horse shows, no need for lunging prior to classes. She is light in bridle, easy to connect and to sit. Willing partner to learn from and accepts training well. She is a 1st Premie Ster (Anne 340 X Jurjen 303) mare with a fully loaded pedigree including a 6 generation ster, preferent Stam Line with all the majestic and powerful appearance of the Friesian breed! Laila is a powerful and athletic young mare. She has excellent ground manners, loves baths, and shows great potential as a sport horse. She has a fully loaded pedigree including a dam line with 10 generations of ster/model/preferent/sport mares. She has a very strong back and big movements!! Hans has always had a calm, level-headed, temperament. He is a very sweet and loving young gelding. He is willing to learn and to please. He is offered for sale as a Trail/Please horse. Noah is a very nice young gelding. He shows nice big movements, agility, and athleticism. He has a very gentle nature and will be an easy horse to start with great potential as a sport horse.